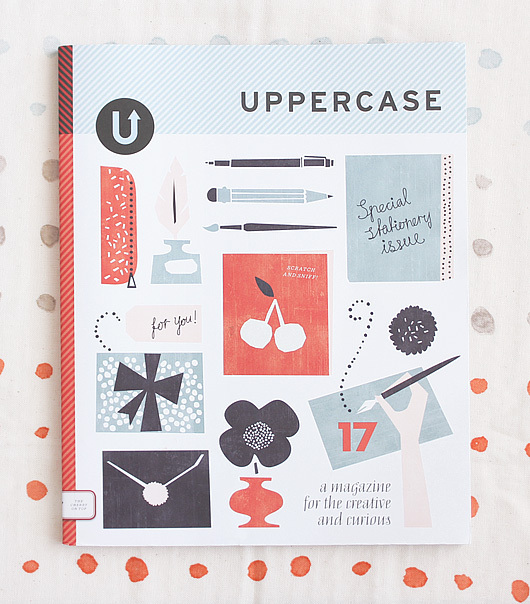 I so much enjoy writing for print, especially when the printed matter is the beautiful UPPERCASE Magazine. The latest issue 17 is all about stationery and paper, paper, paper! If you love stationery then you will really love this issue and I hope you’ll enjoy my little Renaissance in Stationery story (pg 54) too!